Updated Tuesday, December 29, 2015, at 6:59 p.m.
Rutland Herald and Barre-Montpelier Times Argus publisher R. John Mitchell plans to step back from the family-owned news organization early next year, several sources within the company told Seven Days Monday. The 70-year-old publisher, who joined the Herald as an ad salesman in 1965, disclosed his plans during a staff meeting Monday afternoon. Replacing him as publisher of the two dailies, effective February 1, will be vice president and CEO Catherine Nelson. His son, Rob Mitchell, will become editor-in-chief of both papers. The elder Mitchell will remain president of the newspapers’ parent company, Herald Association, Inc., and chairman of its board of directors. In an email to Seven Days Tuesday afternoon, the elder Mitchell disputed the use of the word “retire” to describe the change in his role. 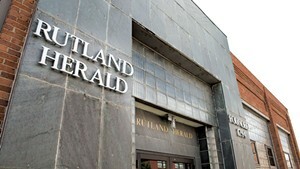 The Herald and T-A reported the management changes in Tuesday’s papers. They also disclosed that the company is folding the New England Business Journals, which the Mitchells bought from another local family in 2003, into the Sunday editions of the Herald and T-A. The reorganization will result in the elimination of one sales and four editorial positions at the New England Business Journals, the papers reported, though several of the editorial staffers are expected to continue writing in a freelance capacity. The monthly NEBJ, which printed 25,000 free copies in four regional editions, will cease publication in its current form in January. R. John Mitchell’s retirement represents a changing of the guard at one of the oldest independently owned newspapers in the country. Founded in 1794, the Herald has been in the family since 1947, when patriarch Bob Mitchell and business partner Leroy Noble bought it, according to a company history. In 1964, they purchased the Times Argus, whose roots date to the 1897 founding of both the Barre Daily Times and the Montpelier Evening Argus. The Mitchells later bought out the Nobles. Bob Mitchell’s son, R. John Mitchell, became publisher of the T-A in 1978 and of the Herald in 1993. A third generation joined the company’s ranks in 2008, when Rob Mitchell, now 38, left a California paper to take a sales job at the family business. Most recently, he has served as editor of the Herald and online manager of both papers. The younger Mitchell said he always wanted to succeed his father as publisher, but that he wasn’t “hung up” on the title and that nobody was more qualified than Nelson. He said he would have his hands full managing the papers’ news operations. Nelson, 64, started her career at the T-A in 1982. After working for several newspaper chains outside the state and as an industry consultant, she returned to Vermont in 2006 to become co-publisher of the New England Business Journals. The next year, she became the company’s vice president and general manager. Though Rob Mitchell will now formally oversee the Times Argus’ operations, he said the change “effectively doesn’t do much” to editor Steven Pappas’ role. In a separate development, longtime T-A news editor Ruth Hare is leaving the paper to become news editor at VTDigger.org, according to Mitchell and Digger founder Anne Galloway. She will replace Tom Brown, who left Digger last month for a communications job at the Center for Biological Diversity in Arizona. 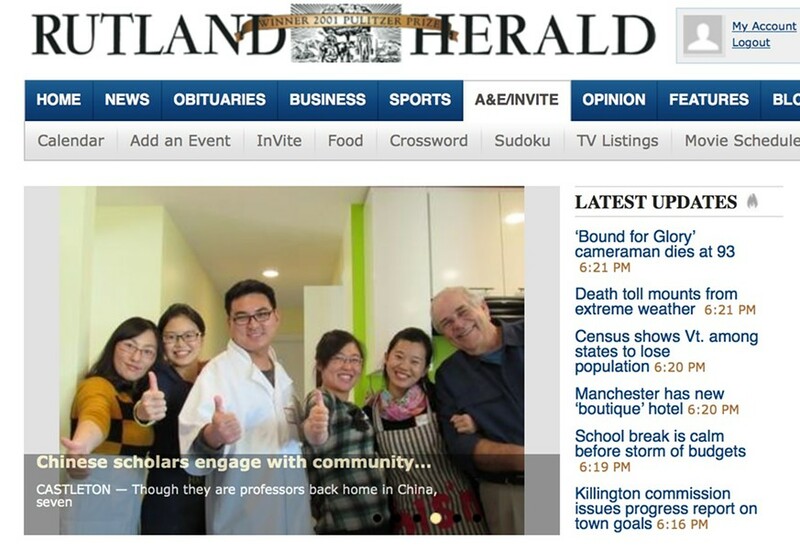 The Herald and T-A have long been regarded as among the best newspapers in Vermont. In 2001, the papers’ longtime editorial page editor, David Moats, won a Pulitzer Prize for his writing on the state’s contentious debate over civil unions. But in recent years, the papers have suffered from many of the afflictions facing similar print dailies across the country. They have undergone several rounds of layoffs, reduced their geographical distribution, sold off real estate and even lost their Barre printing press to a flood. By September 2013, the last time the Herald and T-A reported circulation figures to the Alliance for Audited Media, the papers were printing just 11,200 and 5,796 papers, respectively, on weekdays. Those figures were down roughly 30 percent from five years earlier and more than 50 percent from a decade earlier. According to Rob Mitchell, the company’s financial outlook has improved in the past year.